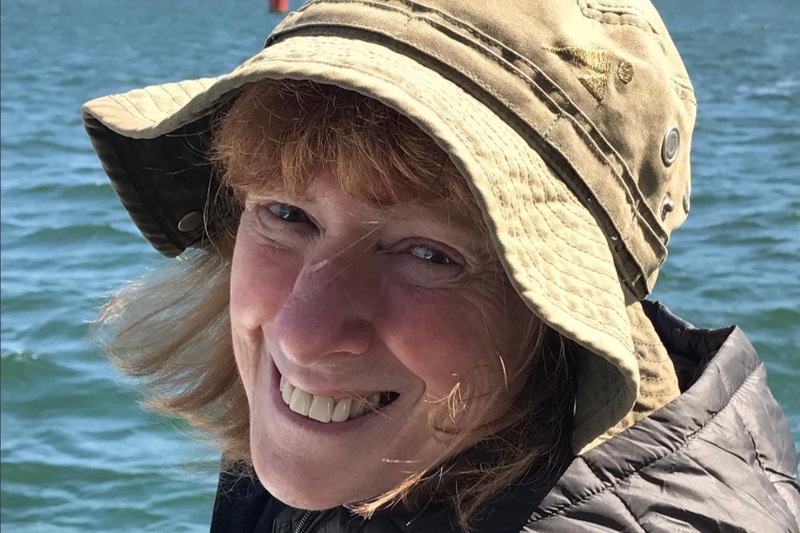 Jean Ronco, beloved wife, mother, grandmother and friend of many was in a terrible accident while hiking in Flagstaff, Arizona. She is currently in the ICU there, undergoing multiple major trauma surgeries. In a week or two Jean will need medical transport back to her home state of Massachusetts. This is unfortunately not covered by insurance and we cannot afford this essential part of her care on our own. We have also discovered that there are numerous other significant medical expenses in her future that our insurance does not cover. We are reaching out to all of her and her family's communities to ask for any assistance you feel comfortable contributing. We greatly appreciate any donation, prayer, healing thoughts and positive vibes you can send. Please share with anyone you can! We look forward to having the best person and strongest woman we know back home. Approaching the end of Thanksgiving weekend, we have a lot to be thankful for! We’re grateful for the slow but steady progress Jeannie has made in her recovery and rehabilitation, and for the continuing support friends and family have been providing. We are sending out a heartfelt thank you to everyone who donated through the GoFundMe; she would not be here without you. Excitingly, Jeannie is now 100% cognitively back with us. We’re thankful that she has moved on from initial rehab and then a stint at the ICU at Brigham and Women’s hospital to the Health South Rehabilitation Center in Woburn. She is now off the ventilator and breathing completely on her own. Although it can be tiring, she can speak and communicate again with assistance from her tracheostomy and her speaking valve that she can use for limited periods of time. She’s supplementing feeding treatments with some soft solids. She will begin to learn to transition from bed to wheelchair in the coming weeks and months. She’s very busy with Occupational Therapy, Physical Therapy and Speech Therapy every day. Going forward, she will have several medical procedures at Brigham and Women’s in the coming weeks. She will be working hard to gain strength, coordination and confidence. We continue to be thankful for the great care we got in Flagstaff, AZ and the support that you all provided that made it possible for us to get back here on home turf. Thank you and much love from the Ronco family this holiday season. Thank You! 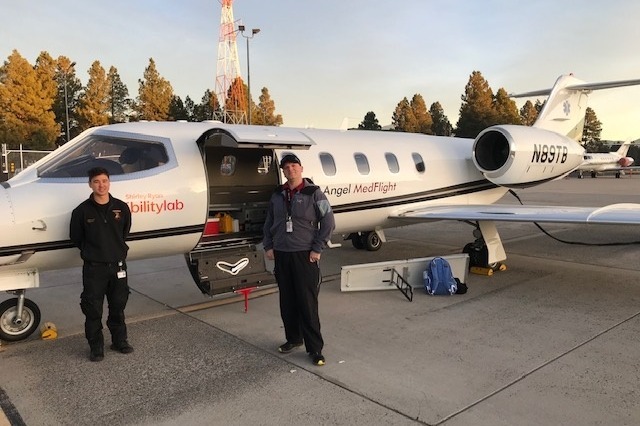 We're amazed and grateful to let you know that, thanks to your help, we were able to take an Angel Med Flight this Thursday from Flagstaff to Hanscom Airport in Bedford. From there, the ambulance took us to Hebrew Rehabilitation Center in Roslindale. Jean is doing well, comfortable and happy to be back on home turf. She's interactive and smiling more. The flight home has given her an excellent foundation for the long road ahead of her of with many weeks of rehabilitation, Physical Therapy and Occupational Therapy. Thank you so much for your generosity. You made a direct and positive impact for Jean and the Ronco family.